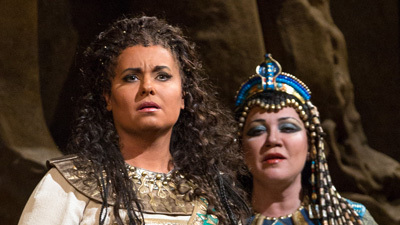 Verdi’s Aida has come to symbolize grand opera, and with such a legendary cast as the one assembled for this performance it’s easy to see why. 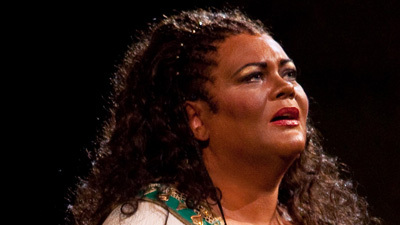 With her sumptuous sound, Zinka Milanov embodied Aida for a generation of opera-lovers, and her distinctive voice filled the theater, and listeners’ hearts, with every facet of the character’s conflicting emotions. With the great Leonard Warren as her father, Amonasro, their monumental clash, then reconciliation, is a performance for the ages. 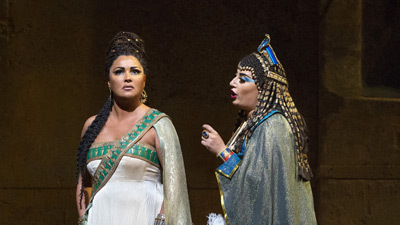 Fedora Barbieri is Amneris, Aida’s rival for the love of the mighty warrior Radamès (Kurt Baum), and Jerome Hines is the high priest Ramfis.